One of the panels I try not to miss is called Hot Book Club Titles. This year the panel consisted of representatives from ten publishers. Because I had a conflict, I was able to hear only the first five presentations. Each speaker discussed several titles, thus I cannot highlight each one. Instead I'm going to present the lists and spotlight my pick from each publisher. The presenters did a great job because I immediately added the following books to my wish list. Algonquin. Let me simply say that Algonquin proved once again why I feature their books time and time again for Imprint Friday. You'll see upcoming posts about several of the suggested book club titles. Look at their list: When She Woke by Hillary Jordan, Running the Rift by Naomi Benaron, The Taste of Salt by Martha Southgate, and Maman's Homesick Pie by Donia Bojan. What a difficult choice! My Algonquin pick is When She Woke: Adult dystopia set in the near future. Could it happen? In the mid-21st century, a young woman in Texas awakens to a nightmare: her skin has been genetically altered, turned bright red as punishment for the crime of having an abortion. H achette. Hachette embraces so many great imprints and their suggestions for book clubs ranges from American sports to war-torn Iraq, from novels to memoirs. Here's their list: The Art of Fielding by Chad Harbach, Being Polite to Hitler by Robin Forman Dew, If I Bring You Roses by Marisel Vera, One Hundred and One Nights by Benjamin Buchholz, The Orchard by Theresa Weir, and Silenced by Kia Dupree. A truly great group of books. 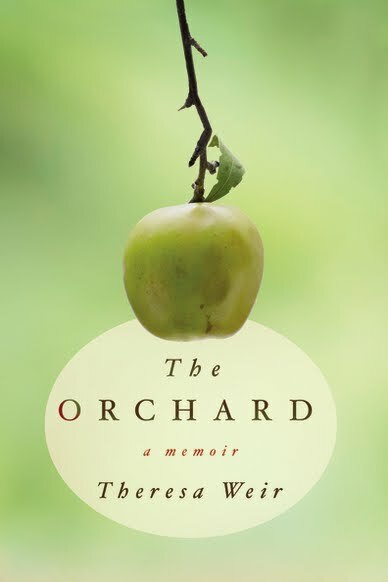 My Hachette pick is The Orchard: This memoir set in the Midwest focuses on a family farm and the environmental and economic choices that must be made to keep the farm afloat. Harper Perennial. As you know Harper Perennial is another featured imprint here on Beth Fish Reads. Of the six books presented, I had stars on four titles. 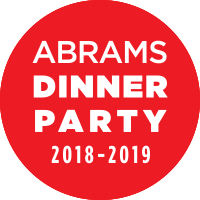 Here is Harper's list: An Impartial Witness by Charles Todd, Domestic Violets by Matthew Norman, Don't Sing at the Tableby Adriana Trigiani, Everything We Ever Wanted by Sara Shepard, Fifth Avenue, 5 A.M. by Sam Wasson, and The Oracle of Stamboul by Michael David Lukas. Several of these books are already on my Imprint Friday schedule and the others are on my wish list. My Harper Perennial pick is Don't Sing at the Table. Not only was I fortunate enough to have lunch with Adriana last week, but I love any book that focuses on food and grandmothers and family--this is nonfiction. 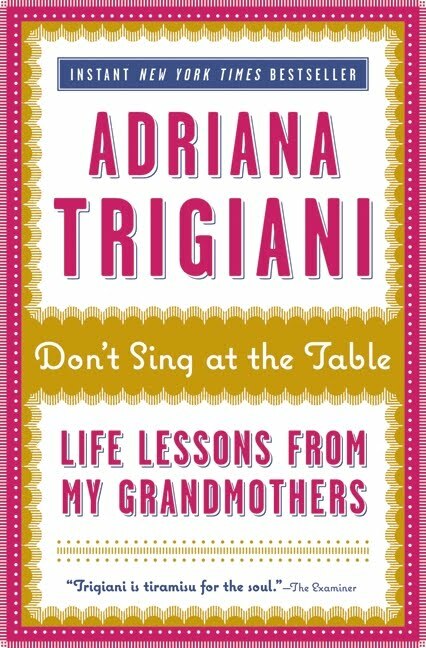 In Don't Sing at the Table, this much-beloved writer has gathered their estimable life lessons, revealing how her grandmothers' simple values have shaped her own life, sharing the experiences, humor, and wisdom of her beloved mentors to delight readers of all ages. Lucy's and Viola's traditions and spiritual fortitude will encourage you to hold on to the values that make life rich and beautiful. Their entrepreneurial spirit will inspire you to take risks and reap the rewards. And their remarkable resilience in the face of tragedy will be a source of strength and comfort. Trigiani visits the past to seek answers to the essential questions that define the challenges women face today at work and at home. This is a primer, grandmother to granddaughter, filled with everyday wisdom and life lessons that are truly "tiramisu for the soul" (The Examiner), handed down with care and built to last. Houghton Mifflin Harcourt. HMH presented a short but fabulous list of fiction for book club reads: historical fiction, contemporary fiction, historical mystery, and contemporary humor. Have a look: The Maid by Kimberly Cutter, We the Animals by Justin Torres, The Hangman's Daughter by Oliver Potzsch, and Mule by Tony D'Souza. I circled three out of the four. My Houghton Mifflin Harcourt pick is The Maid: historical fiction about Joan of Arc, focusing on the woman, not the saint. The tale of Jehanne d’Arc, the saint and warrior who believed she had been chosen by God to save France, and who led an army of 10,000 soldiers against the English, has captivated our imagination for centuries. But the story of Jehanne--the girl--whose sister was murdered by the English, who sought an escape from her violent father and a forced marriage, who taught herself to ride, and fight, and lead, and who somehow found the courage and tenacity to convince first one, then two, then tens, then thousands to follow her, is at once thrilling, unexpected and heart-breaking. Sweeping, gripping and rich with intrigue, betrayal, love and valour, The Maid is an unforgettable novel about the power and burden of faith, and the exhilarating and devastating consequences of fame. Macmillian. Macmillian's suggestions for book clubs is truly awesome, including well-known, prize-winning authors and soon-to-be popular titles. Could you pick just one from this list? Best Friends, Occasional Enemies by Lisa Scottoline, By Nightfall by Michael Cunningham, Freedom by Jonathan Franzen, The Leftovers by Tom Perotta, The Marriage Plot by Jeffrey Eugenides, and The Sisters by Nancy Jensen. Oh yeah. Great list. My Macmillian pick is The Sisters: A family story that begins in the 1920s and continues at least into the 1970s. I'm intrigued by the description, and I bet book clubs will find much to discuss. What happens when nothing turns out as you planned? From the Depression through World War II and Vietnam, and smaller events both tragic and joyful. Bertie and Mabel forge unexpected identities and raise daughters—and sisters—of their own, learning that love and betrayal are even more complicated than they seem. Gorgeously written, with extraordinary insight and emotional truth, Nancy Jensen’s debut novel illuminates the far-reaching power of family and family secrets. Does anything look good to you? 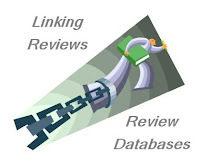 I've already read and reviewed Trigiani's book (http://leeswammes.wordpress.com/2011/03/27/book-review-dont-sing-at-the-table-by-adriana-trigiani/). See, Harper sent it to me! It's a really nice historical account of immigrant life in the 1950s. Thanks for this overview. Great books altogether. So many good ones on this list. They all look good to me! I loved that panel. If I were to go to BEA, I would be first in line for this panel. I love the recommendations. I did like Lake of Dreams, and I am very excited about The Sisters! I started THE MAID and it is quite interesting, I need to get back to it. I'm dying to read WHEN SHE WOKE, partly because it sounds awesome, and partly because it would be great for What's Old is New. Thanks for the recap, this panel was one thing I was really bummed about missing. We're on the same reading wavelength with picks, until the Macmillan choices. So many great books were highlighted - the Perrotta and Eugenides were at the top of my list, but you've made me take another look at THE SISTERS. The enthusiasm of the reps on this panel is contagious! All these look so good ! The Maid looks really good! These are some fabulous looking titles. Thanks for the round up! Oooo, by cover lust alone, I must read The Orchard and The Sisters! I have The Homecoming of Samuel Lake and as soon as I finish the book I'm reading, I'll get to it. Just what I needed, more books to add to my TBR list. They all sound so good. I've got a case of book lust going on here. When She Woke looks awesome. What a great collection! I've heard really wonderful things about Don't Sing at the Table. Thanks so much! I love your list - so many good ones to look forward to! I've added When She Woke and The Maid to my to-be-read list. Looking forward to them! Last year, I came across this list for 2010 and wrote them down and have a read a few, so imagine my suprise when you had the complete list here for 2011. Yay!! I'm excited for a lot of them. Lucky, lucky you! Getting to see all the new goodies before anyone else....I'm terribly jealous. Okay, I want to read all of those, especially the adult dystopia. They sound fantastic! 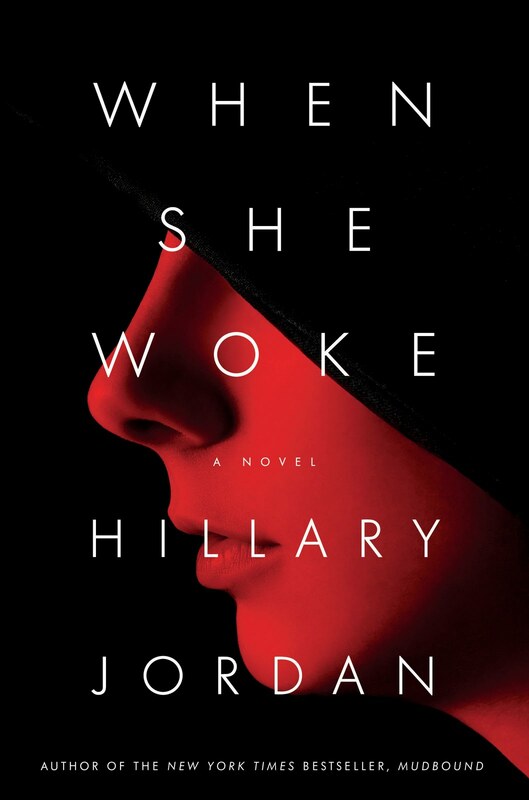 Whew -- the premise of When She Woke gave me goosebumps, and that cover is awesome! Thanks for sharing your picks with us -- that and others are going on my wishlist for sure. You've given us a wonderful list. I've already bookmarked this post. I just checked Don't Sing At the Table out from the library. I knew nothing about it so I'm glad to hear it's on your list. The Orchard and When She Woke sound pretty interesting to me. Thanks 4 profiling these. I think I must have zoned out or something during the Algonquin presentation because I completely missed the description of When She Woke. It sounds great! Wow, that really is a fantastic recap and great list of books. Thanks for pulling it together. Just signed up to receive your blog updates via email. These look like really thought provoking reads. I do wish they'd include the occasional YA book. They are equally valuable to book clubs.